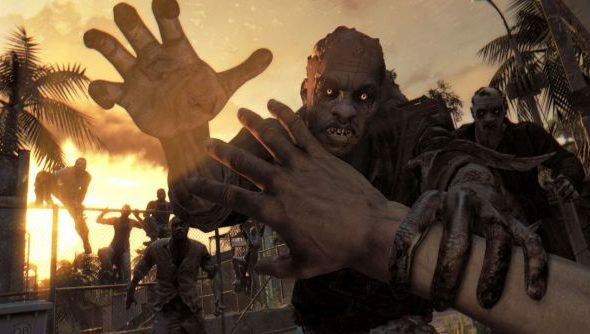 A new Dying Light trailer that’s bound for this year’s Gamescom has surfaced, showing just exactly what we can expect from the parkour zombie survival game. You’ll be punching, jumping on, slicing and blowing up zombies left and right with various weapons and scenery. And you can share the fun in four player co-op; it’s all quite fun and carefree by the looks of it. But when the sun sets, you’ll become the hunted. The trailer does a good job at showing the rather stark contrast. During the day you’re the top of the food chain; zombies will shuffle slowly around as you quickly dispatch them to find supplies. But come nightfall and they seem to become instantly more deadly; staying hidden and undetected seems like the way to go. You can probably expect to see more of Dying Light next week as our Gamescom coverage kicks off, but in the mean time check out Rob’s hands-on.